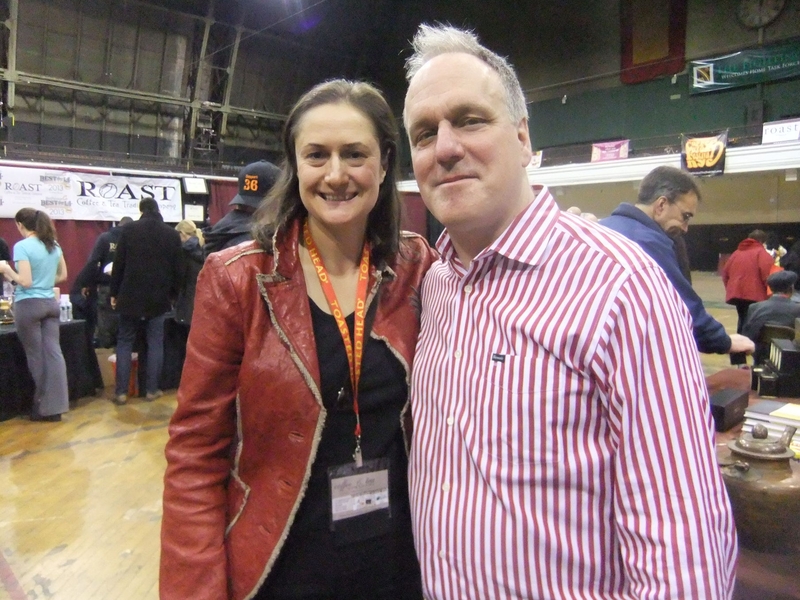 At the recent Tea & Coffee Festival NYC, it was a real thrill to meet one of the generations of the famous tea family the Harneys (Mike being the second generation), from Harney & Sons. Harney & Sons is a well established tea business (tea blenders, wholesalers, suppliers and retailers) that is based in New York and has expanded its tea stocks and availability throughout the UK, New Zealand and now Australia. So your Dad started the business? John [Harney] started the business. He had learned from an old Englishman that had come to the States, Stanley Mason [and he] taught him in the 60s and the 70s how to make teas, how to source it and, of course, that was very British like what you drink in Australia. So we do have that sort of British roots that we started from, but we are, of course, American like you are Australian, so neither one of us is British. So, we interpreted it [tea] in our own way and we’ve had lots of different teas. We have both loose teas [and] we have the sachets which are more convenient, loose tea in a convenience form. Our most popular flavour is Hot Cinnamon Spice. Ah, I was about to ask you, Hot Cinnamon Spice, wow, interesting. So, we offer teas like that and we also offer many other unflavoured ones. We have the Oolongs…the British legacies – you are part of the British legacy [being Australian], of course – so, we have those teas…we have nice Assams, we have nice teas from Sri Lanka, so it’s a variety of different teas. So, you do the ‘true’ teas and the flavoured teas and blends and all sorts of things? Great. Tell me, Mike on your website I did see something [you’re] selling in Australia…what made you start selling in Oz? Well, if it had worked out otherwise, I could be an Australian instead of an American. The Irish got kicked out and then they had to go somewhere, and some went to Australia and some went to the US (we went to the US). Australia is a similar country. It has a great tradition of tea so we are very excited to be selling in Australia. And was it the demand, were people asking for it? 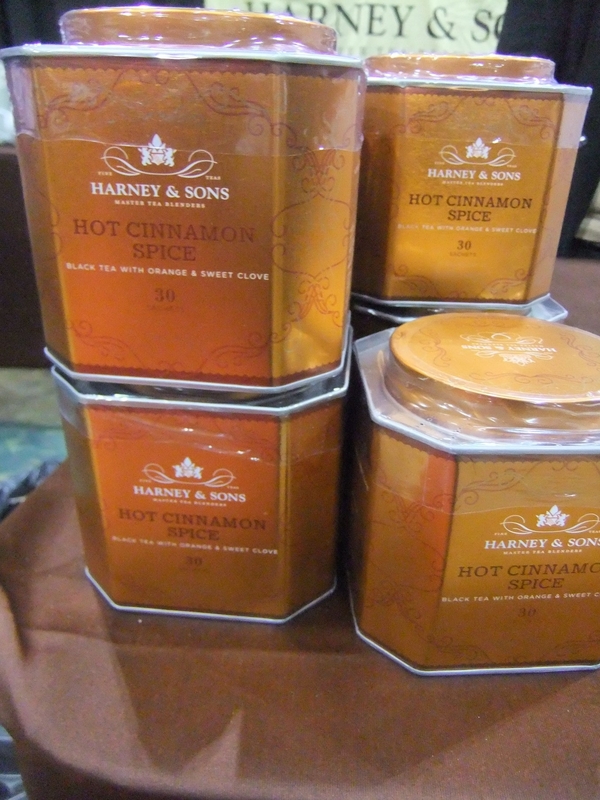 There weren’t too many people that said “Thank God I have Harney and Sons tea in Australia”. But, once they see it they do think about it and it does well. We do very well in the UK, New Zealand and now in Australia. You haven’t been [to Australia]? I haven’t been. I was thinking I have to go. Let me know when you come [and] we’ll certainly show you around. What do you think the future is for Harney and Sons, what’s the next succession product if you like? Where do you think tea is heading? For Harney and Sons or for tea? Well, we have a third generation in the business. Two of my sons are in the business right now. Emeric runs our store down in Soho…. Have you been there yet? No, I’m planning to do that. It’s on Broome Street, 433 Broome, East Broome. And then there is also my son Alex who just came back from India, and he runs our shop up North. So we’re going to keep growing. And then in the tea business, you know there are lots of things going on. There is always high quality teas to be found and new seasons just starting, so, whatever we had last year is out. We have to get in fashion. ‘Red’ is in one year, then another ‘red’ next year. Yes, that’s right, fantastic. It’s interesting too because there are now more and more countries cultivating tea as well. There is some cultivated in Australia, of course…but when we think about it [tea is] not quite like wine where one day Australia can be as good as France, where it wasn’t doing anything and the next thing it is doing it. It’s hard for Australia and the States to be as good as China [in growing tea]. We just don’t have the traditions. It takes a while to find the right places, and they’ve done all that already. It would take a lot more to have happen that a New Zealand tea would taste as good as a Chinese tea.